The Chabad Of Roosevelt Island wish their Roosevelt Island friends and neighbors a happy, healthy and Sweet New Year. 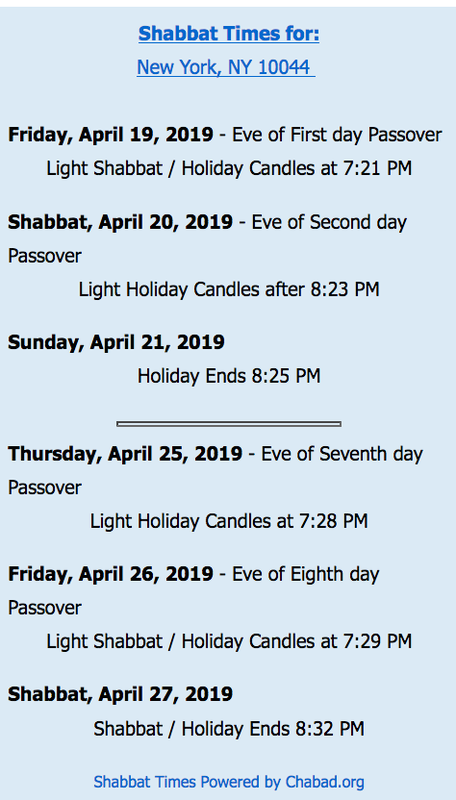 Below is the Chabad of Roosevelt Island Rosh Hashanah and Yom Kippur High Holidays schedule. 7:39pm Break fast and light snack. 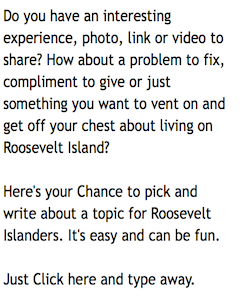 Click here for more info on Chabad Of Roosevelt Island. ... RIJC is an egalitarian, progressive, friendly and fun synagogue founded in 1976. 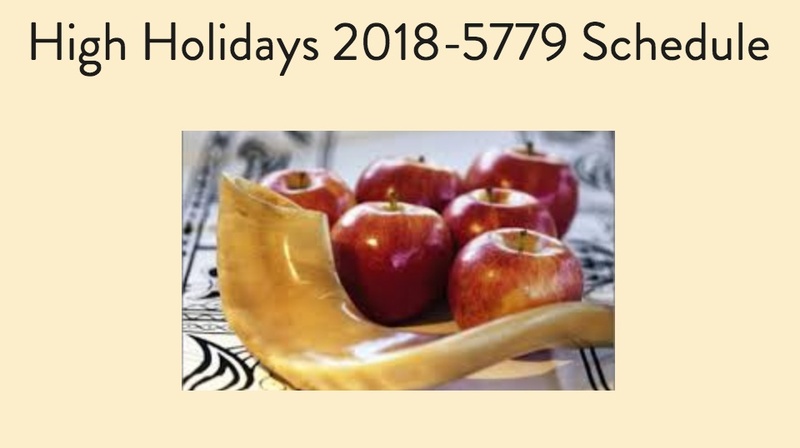 Our congregation is dedicated to providing Jewish spiritual support and renewed Jewish knowledge to all who seek it, as well as a strong Jewish community in and for the neighborhood. Our New Year & holidays are here at last. We look forward to the next few days as our new Rabbi, Joel Shaiman, leads our Rosh Hashanah & Yom Kippur services in our Sanctuary at the Cultural Center. This is our great opportunity to reflect & renew, soul search & celebrate. Many of you have already met Rabbi Joel. These next few days are your opportunity to welcome him and his family to our RIJC family & community. Additional High Holy Day information is available on our website, RIJC.org. All Services are held in the Sanctuary at the RI Cultural Center (548 Main Street). Child Care will be available in the Classroom each day. There is no evening service on September 10th. The Staircase entrance to the Cultural Center is through the Breezeway next to 540 Main & down the Red Staircase. The Elevator entrance is accessed through the Breezeway at 556 Main, then turning right to the double doors behind the Public Safety office. Press the white button for the doors to open & take the elevator down to 1. Directional signage will be posted. To those of you who have already made donations, renewed your membership or joined the RIJC for the first time, Thank You. 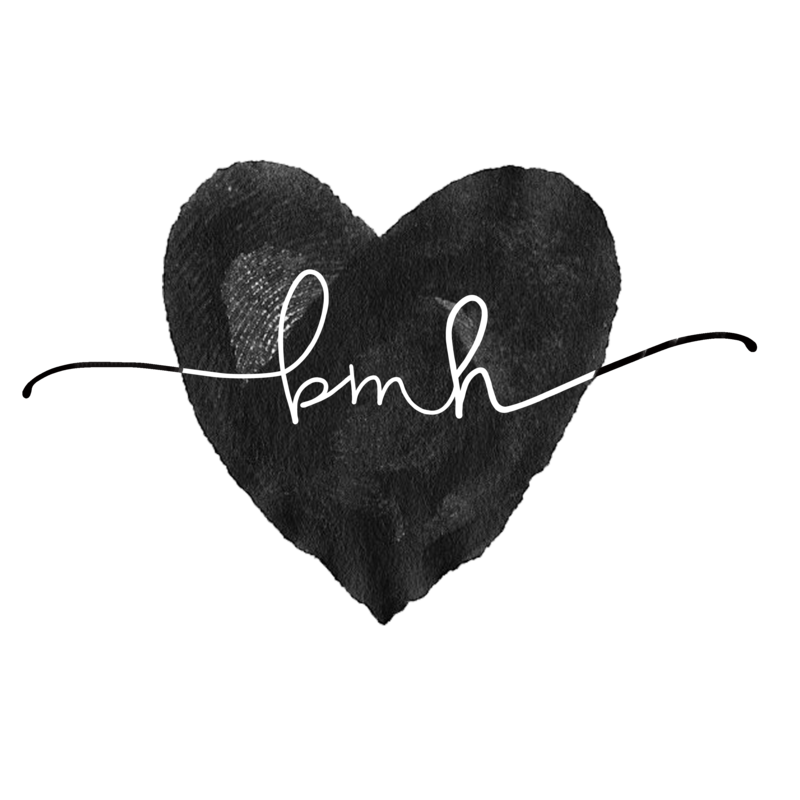 Your thoughtful & generous financial support is most welcome & appreciated right now. Please use the PayPal link at RIJC.org or send your check made out to the Roosevelt Island Jewish Congregation, to RIJC P.O.Box 241 Island Station. New York, NY 10044. More info about RIJC available at their web site and here's a message from new RIJC Rabbi Joel Shaiman. More on the 9/11 Tributes In light here. 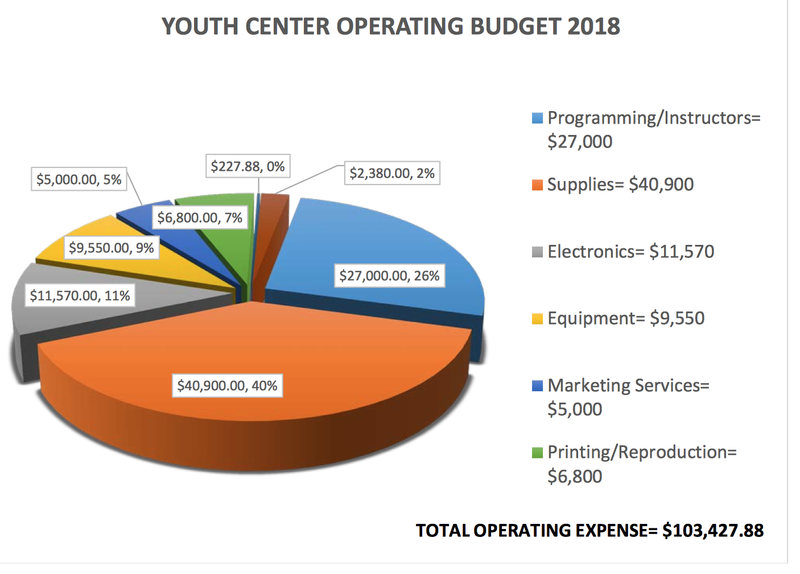 Among the items on the Agenda are a presentation of RIOC's Proposed Budget for Fiscal Year 2019-20 and plans for RIOC Youth Center Department Youth Programs. Click here to view the Board Materials for each Agenda Item. along with pencils, rulers, sharpeners and other school items to prepare them the opening of school this week. Additionally, the youngsters received instruction in exercise programs(Adrian is a Personal Trainer at Equinox Fitness), and participated in relay races, steal the bacon, and other healthy games. The smiles on the kids’ faces throughout the event said it all. Assisting Adrian and Brandon in running the event were some 15-20 friends/volunteers – Denis E. Debranched, Joel T. Strickland, Javon Perry, and Kevin Hawkins; some who still live on the Island. A few of the guys are active in the military. By the way, the volunteers all had smiles on their faces as well. Parents of some of the guys were there as well helping and supporting the effort, supplying the youngsters with healthy food like fruit and juice. I am so glad I went down to the event. The effort of all of these guys was beyond impressive. We clearly need more events like this on the Island and Adrian and Brandon and friends are anxious to have more. The Public Safety Department is also committed to assist in any way we can in any future events. 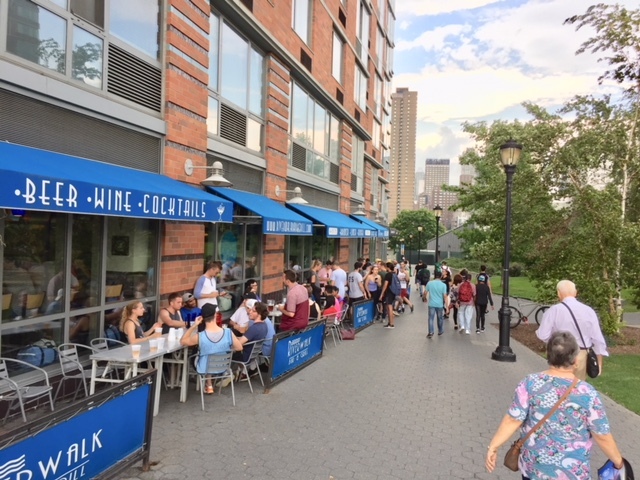 Roosevelt Island lost a restaurant with the closing of Riverwalk Bar & Grill today and greeted a new food truck. The Wings Lovers Food Truck is located across from Starbucks next to the subway station on Main Street. 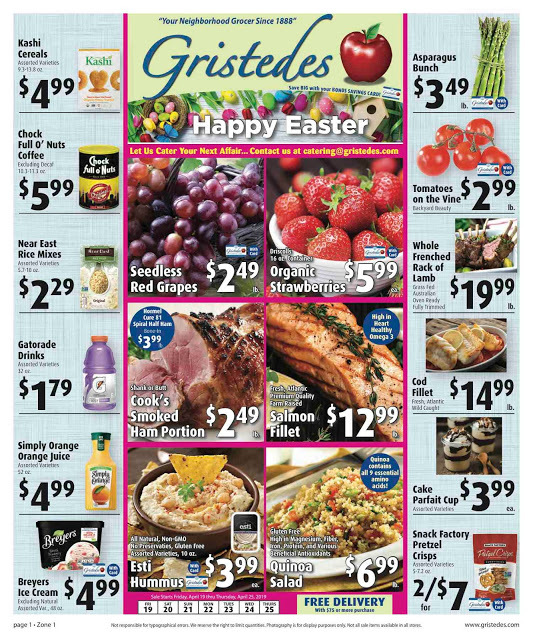 with Fries, Onion Rings or rice. The Wings Lovers Food Truck will be on Roosevelt Island Tuesdays - Thursdays approximately 10 AM - 6PM. They locate to Governors Island on weekends. I spoke to the owner today and suggested they stay open later in the evening for the after work commuters. 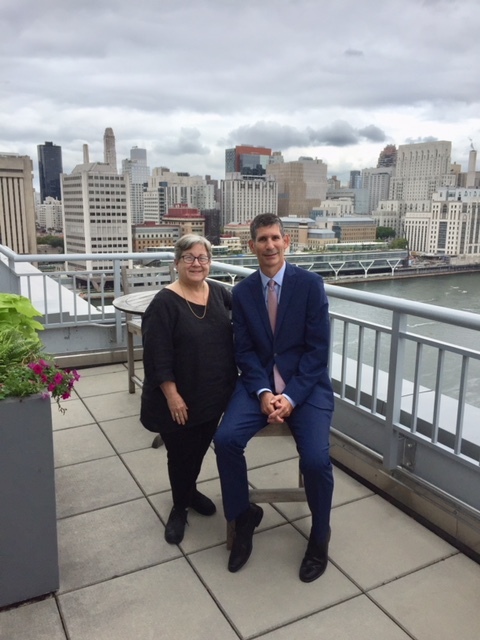 PLEASE TAKE NOTICE that a meeting of the Operations Advisory Committee Meeting of the RIOC Board of Directors will be held on Wednesday, September 5, 2018 at 5:00 P.M. at RIOC Administrative Office, 591 Main Street, Roosevelt Island, New York. would be closing or changing ownership. 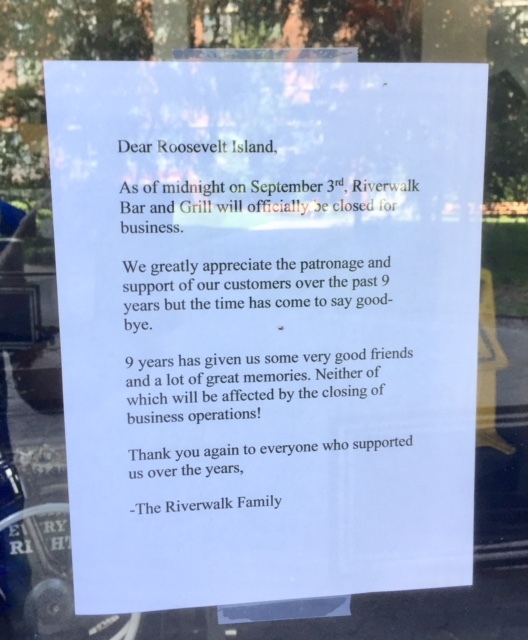 Sources tell The Daily that Riverwalk Bar & Grill, Roosevelt Island's most popular venue for food, drink, casual get togethers and business meetings, plans to shutdown operations as of the close of business on Monday, September 3rd, Labor Day. 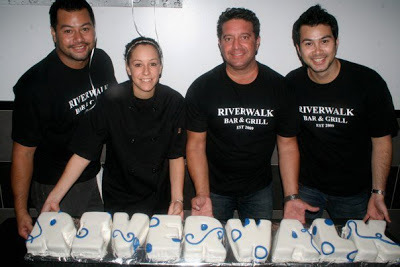 ... the Riverwalk Bar & Grill is closing on Monday and that new ownership is taking over the restaurant. Correct that they’re closing. We’re showing the space but haven’t finalized a lease with a tenant yet. owners to comment but have not received a reply. Employees who were asked this weekend if the restaurant was closing on Monday said they had no idea and were not told anything by the owners. 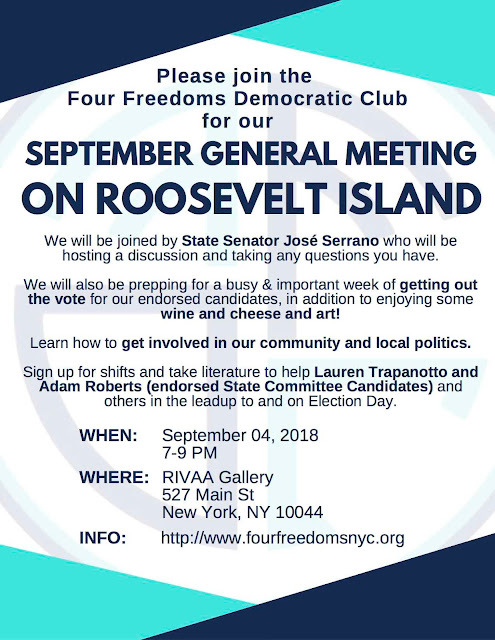 Are you interested in Democratic Party politics, meeting Roosevelt Island's NY State Senator Jose Serrano or learning how to get involved with community issues? 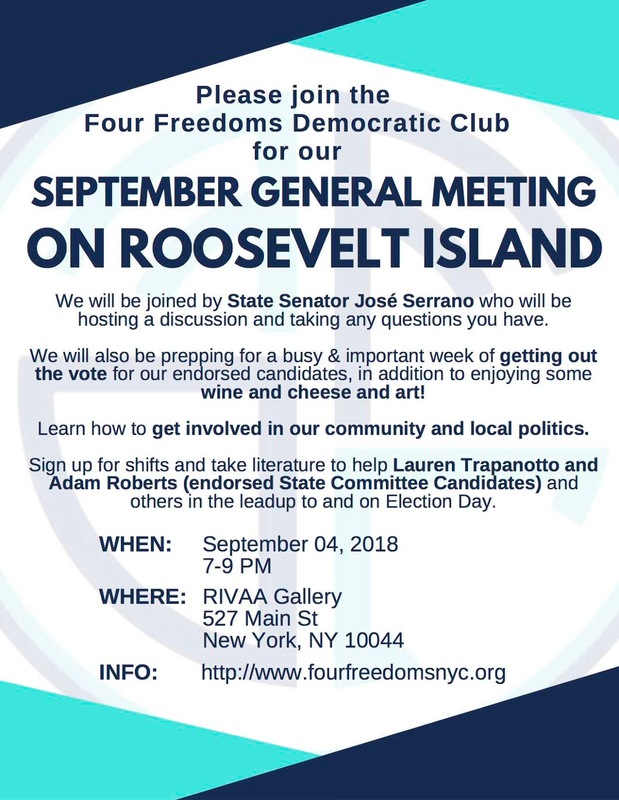 If yes, you're invited to stop by Roosevelt Island's Gallery RIVAA for some political talk and meet some interesting folks from the Four Freedoms Democratic Club. Our next general membership meeting takes place at Gallery of the Roosevelt Island Visual Art Association (RIVAA) where Senator Jose Serrano will join us for a wine and cheese reception. 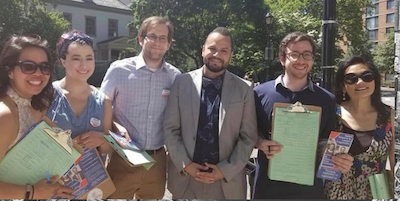 In addition to having an opportunity to talk with Senator Serrano about his legislative agenda, we will be planning our Get Out the Vote Efforts for the September Democratic primary. 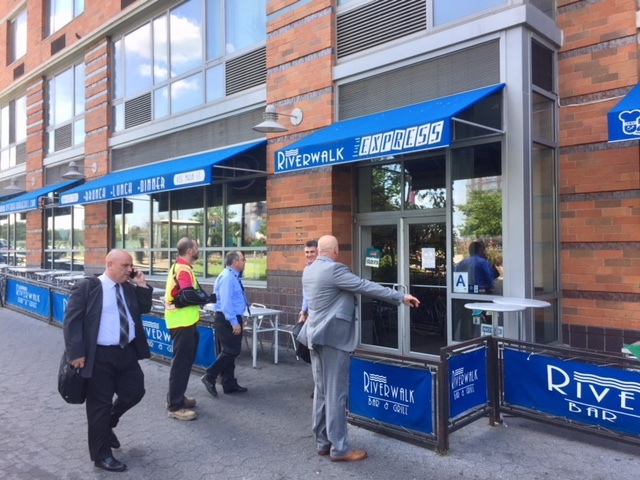 Arrive before the meeting an join us in canvassing on Roosevelt Island and the tram stop and subway station. RSVP here. The Gallery RIVAA is located at 527 Main Street on Roosevelt Island, a short walk from the F Train or the Tram.